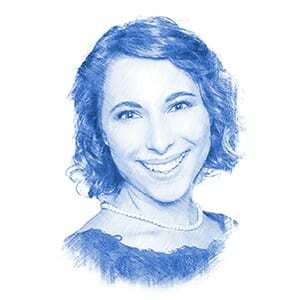 A Taste Of Israel: 'You Cannot Be My Enemy If You Are Sitting at My Table' - Breaking Israel News | Latest News. Biblical Perspective. Film director Roger Sherman samples Israeli cuisine. Credit: “In Search of Israeli Cuisine” press photo. When film director and producer Roger Sherman referred to Israel as one of the “hottest food scenes in the world,” his colleagues laughed. It was at that moment that Sherman knew he had discovered a subject for a successful film. Sherman’s documentary, “In Search of Israeli Cuisine,” featuring world-renowned chef and restaurateur Michael Solomonov, has played in 38 theaters across the U.S. and more than 150 around the world on the film festival circuit. The documentary is now available on Netflix. The film’s success is reflected not only in its ability to reach wide audiences, but also in showing a side of Israel that very few knew existed—including Israelis themselves, who turned to Sherman after screenings to admit that they learned various new things about their own cuisine and heritage. Yet according to the director, the film still seeks to educate the masses who are largely “clueless” about Israel—including Sherman himself, who describes himself as “naive” on that topic before visiting the Jewish state to shoot the film. “While I don’t consider this to be a historical film, we do tie together the historical aspects of immigration, how poor the country was, and how cuisine started and developed,” Sherman tells JNS. 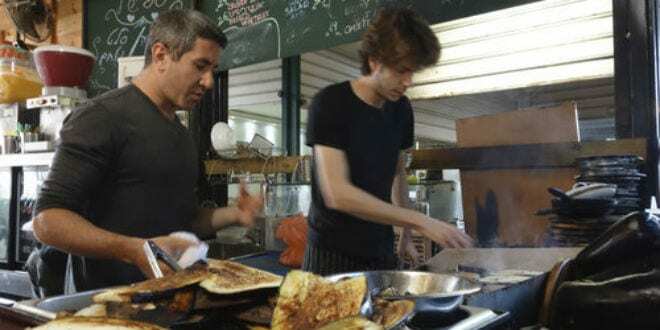 Chef and restaurateur Michael Solomonov (left) at the Carmel Market in Tel Aviv. Credit: “In Search of Israeli Cuisine” press photo. “Every chef, whether Druze, Christian, Palestinian, Arab or Jewish, said, ‘You cannot be my enemy if you are sitting at my table,”’ he says. Sherman found that Israeli culture was much more rich and modern than he had previously thought, and was surprised to find that Israeli traditions rooted in religion have become part of the country’s culture—even among the most secular Israelis. Jewish dietary laws, such as not mixing milk and meat as well as not cooking during Shabbat, seep through the culture and into the food. “Shabbat is very important to the Jewish cuisine, because when people [assimilated into] the Diaspora, what made them different from their neighbors were the Shabbat and the kosher laws. Because they had to preserve the Shabbat, not to light fire and all kinds of religious regulations, they developed a lot of dishes,” says culinary journalist Ronit Vered in the film. 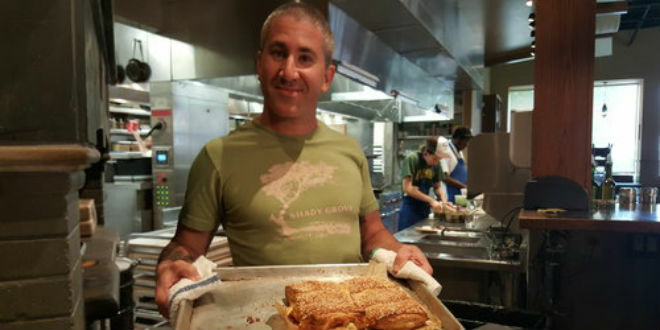 Chef and restaurateur Michael Solomonov (left) with a tray of bourekas. Credit: “In Search of Israeli Cuisine” press photo. Similarly, Solomonov maintains that the nuances and fusion of traditions and cultures represent the hallmarks of Israeli food. He specifically notes Israeli spices, small dishes, and “primitive cooking methods” such as “al ha-esh” (food cooked directly on a flame) that serve to excite and stimulate the Western palate. The result, celebrity chef Yisrael Aharoni says in the film, is an “amazing, colorful mosaic” of cultures—as opposed to a melting pot of cultures—in which the 150 cuisines that came to Israel from around the world keep their distinct flavors so that traditions can really shine. For instance, Israeli spice shops often sell 10 different za’atar mixes, each one a slight variation based on its origin. “It’s remarkable that the same dish can be done 10 different ways,” says Sherman. Due to the size of Israel—about the size of New Jersey—nearly all ingredients are local. While being a “locavore” (eating only local ingredients) has become a fad in the U.S. in recent years, Israelis have been cooking with almost exclusively local ingredients for decades. “It took a while, but eventually, Israelis were saying, ‘Why are we copying other cuisines when we have such amazing fresh vegetables here?’” says Sherman. Gradually, Israel’s chefs began to take their grandmothers’ traditional family recipes, and expanded and innovated on them with local ingredients. Sherman and Solomonov believe that process, as well as the insatiable Israeli travel bug, could be behind the recent worldwide boom of Israeli cuisine.